Learn more about one of Just Drop the Ball's 10 American teenagers to watch in 2015, Deiton Baughman. Deiton turned pro last February and is coached by his dad, Brad. 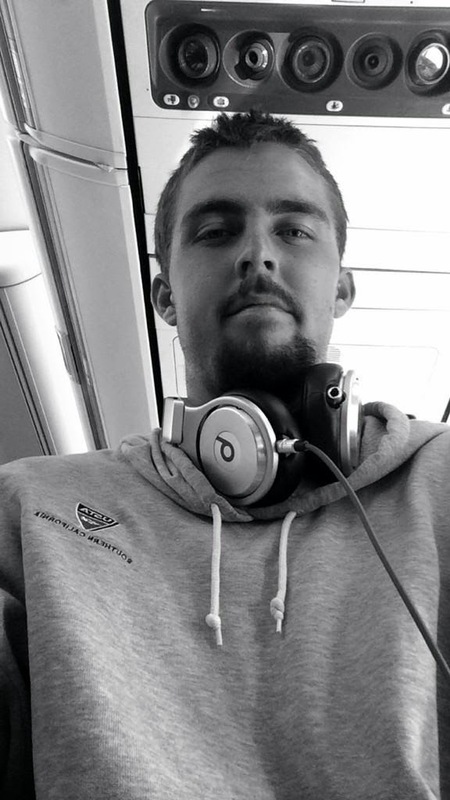 He trains at the USTA facility in his hometown, Carson, California. The 18 year old competed mostly on the ITF Pro Circuit last season. See what he had to say about the challenges players faced, his goals, and more! Can you tell us a little bit about your game style? I play pretty aggressive, but with margin. I hit pretty big off both sides and try to dictate as much as possible from the middle of the court. Favorite shot? Part of the game you look to improve upon? Favorite shot is definitely my Backhand. I pride myself on that shot. There is no "one" part of my game I'm looking to improve rather looking to improve every part of my game. Rafael Nadal. To be around the essence of professionalism would be an absolute honor and privilege. I'm a pretty fiery player that eschews a lot of emotion and intensity positive and negative haha so to be around someone that embodies that so well and uses it for his advantage would be a real treat. Do you have a special pre-match routine? I like to listen to music that inspires you or gets you in the mood to do battle. Clay, probably one of the few Americans that prefers to play on it over every other surface. The biggest difference is the "all or nothing" attitude. These guys on tour are trying to make a living and they're willing to do anything to make it happen. At the high level junior events, you get a free hotel, free food, and federation coach traveling with you. On the futures and challenger circuit, you pay your own way, you room with guys you don't know trying to cut costs, and there is a curtain level of desperation that you feel when playing with pros compared to the juniors. Where is your training base? All young players start out at the ITF level and playing futures is not always fun. If you can change one thing about these tournaments, what would it be? One universal complaint is the prize money but for me I'd love to see an increase in ATP Points per round. You make Quarters of a 10k or 15k future and you get 2&3 ATP points, respectively. That’s nothing compared to what challengers offer and it just makes it that much tougher to improve your game on a week to week basis. I think we have a pretty solid group of young Americans coming up and I would love to be one of the guys to be leading the charge. I wanna make US tennis relevant again at the level it was at during the 80s and 90s. Most of all I wanna be number 1 in the world. This changes about every week but right now its Achievement- G-Eazy, Days in the East- Drake, Love Yourz- J. Cole, Earned It- The Weeknd, and this last one will sound like a cliché but Tennis Court [Flume Remix] - Lorde. I know I'm #SlimRising so it’s a bit surprising to not have an Eminem song on the list but I try to keep a wide variation on my music. You trained with Stefan Kozlov several weeks ago, any funny story you would like to share? Goals & travel plans for 2015? My goals for 2015 is to be in Qs at the US OPEN on my own ranking and to finish the year top 250. Travel plans include going to Japan, Mexico, Canada, Brazil, and maybe Spain. A lot more international traveling this year.